This month, hundreds of business executives and investment authority delegates, as well as regional government leaders, will converge on Grand Bahama for the Bahamas International Investment and Business Forum. 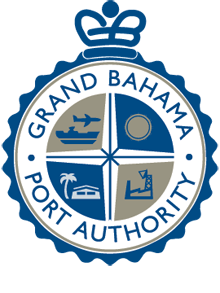 The event, a collaborative effort between The Grand Bahama Port Authority, Ltd (GBPA), the Bahamas Investment Authority and the Commonwealth Business Council, will serve in meeting numerous objectives that are priorities for both The Bahamas government and GBPA. Come February 2013, hundreds of business executives, investment authority delegates as well as regional government leaders, will converge on Grand Bahama Island for the Bahamas International Investment and Business Forum (BIIF). The event, a collaborative effort between The Grand Bahama Port Authority, Limited (GBPA), the Bahamas Investment Authority (BIA) and the Commonwealth Business Council (CBC), will serve in meeting numerous objectives that are priorities for both The Bahamas Government and GBPA. The forum, slated for February 20th -21st, 2013 at the Grand Lucayan Resort, is intended to focus on attracting new foreign direct investment to the country, while simultaneously revitalizing the country’s legacy as a premier investment platform and business friendly destination. Earlier in the week, executives from the BIA, GBPA and CBC, met with industry leaders on Grand Bahama for planning sessions and a corporate luncheon, culminating with a press conference announcing the major investment and business forum this past Tuesday. The Minister for Grand Bahama, the Honourable Dr. Michael Darville, and Minister of State for Investment, the Honourable Khaalis Rolle, brought official remarks on behalf of the government. GPBA Chairman, Mr. Ian Fair shared his enthusiasm as he encouraged corporate support for this major initiative. “Each sector of our country’s economic landscape can be enhanced and expanded to facilitate new investment ideas, products and/or services that complement existing synergies now operating. The question is, who are these international players, and more importantly how do we reach out to attract them to the BIIF event.” Fair stated as he addressed stakeholders of business community during the luncheon. With Grand Bahama as the host destination, GBPA executives hope to highlight every positive attribute the island has to offer. “The greater question is, can they benefit from the numerous resources that Grand Bahama has to offer; whether it is our tax advantages, our strategic location, our world class infrastructure, or other prime amenities. To this end, we are seeking the support of you; the island’s stakeholders to partner with us in targeting every possible new business contact within your reach.” Fair concluded. Under the theme, “At the Crossroads of 21st Century Trade and Investment” CBC General Director and CEO, Peter Longworth expressed that the conference is expected to attract a significant number of international businesses, government leaders and top decision makers from North, Central and South America, as well as the CARIFORUM countries, Africa, Europe, Asia and Australia. “We are working to make this Forum, the ‘Big Bang’ for Bahamas business,” stated Longworth. “We will present the Bahamas to international investors, not only as a dynamic shipping and distribution hub for the Caribbean and Eastern Seaboard, but as a business centre with a wide reach and huge potential for expansion,” cited Longworth. The CBC was founded by 54 Commonwealth Heads of Government to promote investment in member countries. Since its beginnings in 1997 the Council has organized more than 100 international investment events. “We have seen billions of dollars’ worth of investment deals and partnerships concluded at our events. We have years of experience in creating these opportunities and we are glad to be partnering with the Grand Bahama Port Authority and the Government’s Investment Promotion Authority as fellow stakeholders,” he explained. Longworth also noted that, the CBC’s contribution is to use their global networks to bring a strong international contingent of potential investors to Freeport, confident that it will come to be seen as a major gear change in the expansion of the Port and job creation in the wider economy. After a full three days of meetings, Director of Investments for The Bahamas Investment Authority, Mrs. Joy Jibrilu, shared that the group’s meetings thus far have been very productive. “GBPA was extremely helpful in organizing meetings with key government and corporate officials in Freeport, all of which have gone exceptionally well during this planning phase” explained Jibrilu. 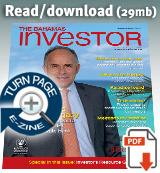 “Minister Rolle is keen on this investment and business forum taking place on Grand Bahama. Its role in re-branding our country as global competitor in attracting foreign direct investments will be key to moving not only Grand Bahama’s economy forward, but the country’s economy as a whole.” Jibrilu concluded. As planning for the forum continues, BIA, GBPA and CBC executives are confident that the 2013 Bahamas International Investment and Business Forum will be an unprecedented success. The Commonwealth Business Council was formed in 1997 at the Edinburg, Scotland Commonwealth Heads of Government Meeting (CHOGM). Its aim is to utilize the global network of the Commonwealth more effectively for the promotion of global trade and investment for shared prosperity. This is an excerpt from Grand Bahama Port Authority as it appeared on February 15, 2013. For updates or to read the current version of this post in its entirety, please click here. Event management leader ITA Group has announced Atlantis Paradise Island resort, Bahamas, as one of the recipients of its 2012 Timeless Performance Award. This is the ninth consecutive year for the award, which recognizes the efforts of hotel, cruise line, and destination management company suppliers.